Waterpoint Point Loma opens for sale & tours today, January 10th! Located at the water’s edge in the heart of Point Loma, Waterpoint is a limited collection of 40 new upscale condominiums developed by ColRich. Waterpoint offers one and two story waterfront condominiums with breathtaking bay and downtown skyline views. 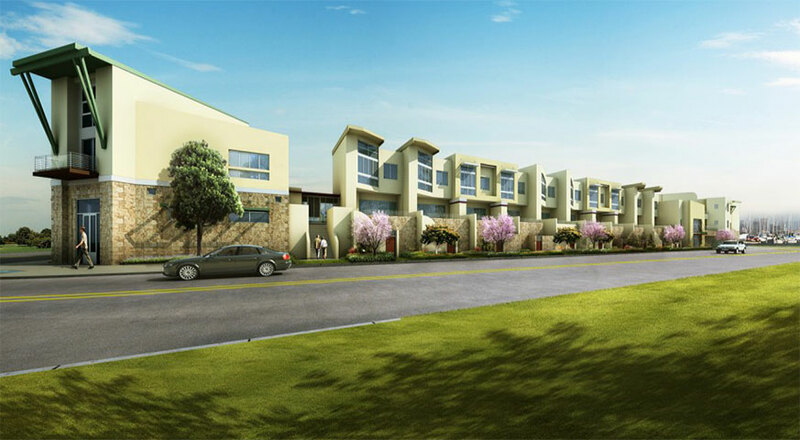 There is a choice of six floor plans ranging in size from approximately 1,372 to 2,370 square feet of living space. Floor plans 1 & 2 are already sold out. In keeping with ColRich’s tradition of award-winning architecture, Waterpoint’s design will showcase innovation, attention to detail and upscale urban elements that will highlight the property’s proximity to the Pacific Ocean. Features include large outdoor spaces, al fresco balconies and underground secured parking. Pricing at Waterpoint Point Loma condos ranges from the mid $800,000 to $1.2+ million. Retail space and four live/work units are also available. Waterpoint fronts the shoreline Promenade at Point Loma which is part of a contiguous waterfront pedestrian connector from Point Loma all the way to downtown San Diego. Homeowners can shed the maintenance responsibilities of traditional homeownership to enjoy a walkable Waterpoint address just steps from the water, popular restaurants, shops, boat yards and other services.